Have you ever been to Hope Mill? It is a Manchester hidden gem located in a fantastic five story Grade two listed building. 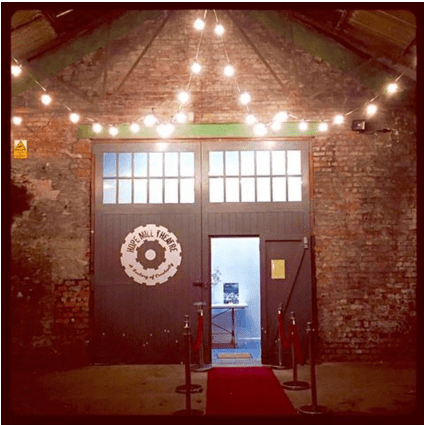 It is nestled in the back streets of Ancoats and hosts a theatre, a cafe bar and artist studios. There is so much creativity going on there, it is really something quite impressive. 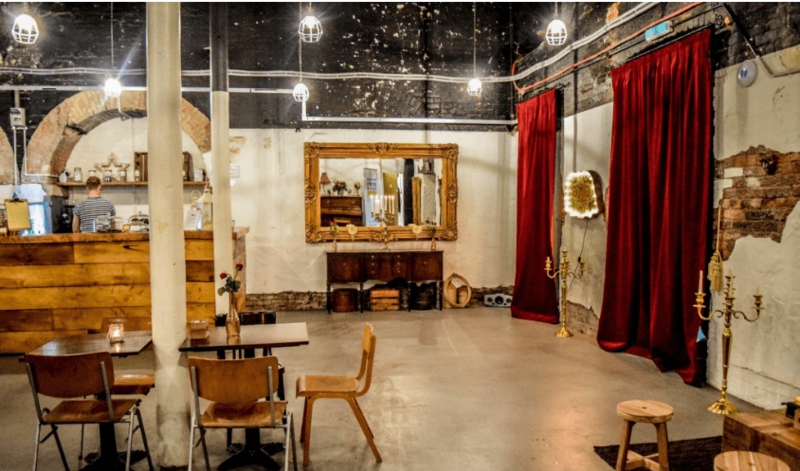 It is a fantastic venue for anyone looking for an alternative wedding venue, the bar’s decor is a stunning amalgamation of high class theatre with stripped back industrial coolness. 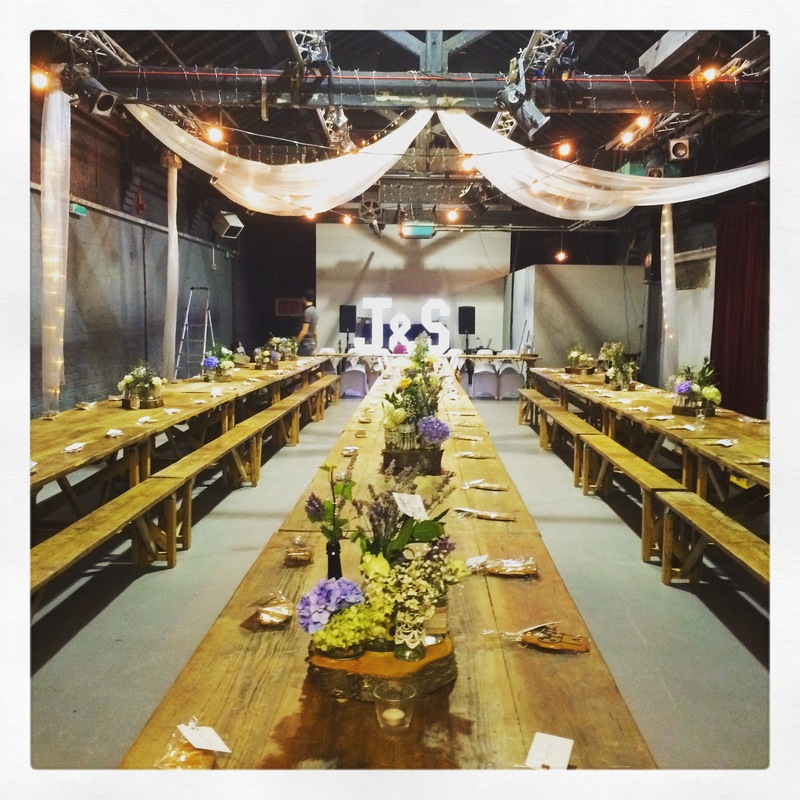 The space for the wedding reception is a blank canvas which is fantastic for couples who want to make it their own. A blank canvas for you to create your own style. 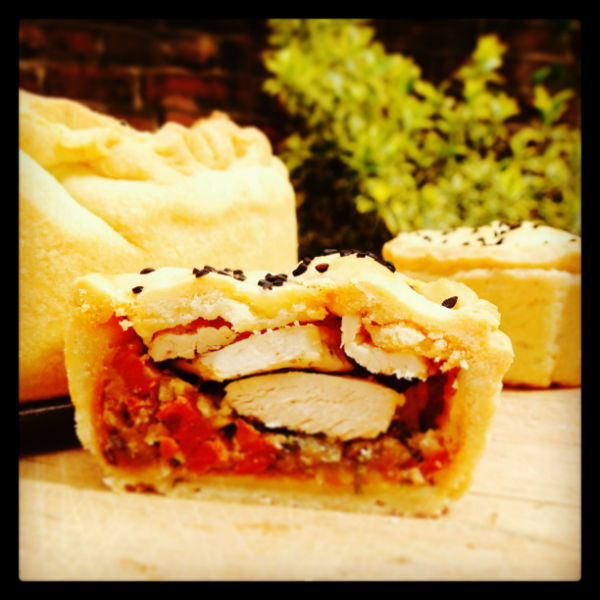 At our initial consultation J & S they told me they wanted a relaxed laid back eating experience, with an emphasis on family,sharing style food. They said they wanted a hearty meal for their glut of Northern guests and what better way then giving them pie and mash? I created a menu that meant there were platters of of individual pies for guests to help themselves on each table, whilst trays of creamy mashed potato and minted peas were passed between guests.. and not forgetting the jugs of onion gravy! For dessert, again I wanted to keep the family style sharing style and they had platters of mini sticky toffee pudding and lemon and lime cheesecake, a real filling feast! See what is happening at Hope Mill theatre as there is alway new and amazing productions on there all of the time. Get in touch with Stef, the most amazing wedding organiser, she really will make the day go smoothly! She also has beautiful wooden trestle tables that she rents , if you are looking for rustic beautiful wooden tables, she is your lady!